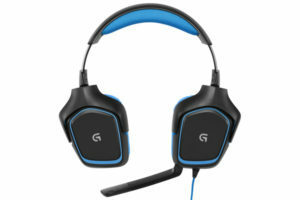 Today I am going to provide my experience using the Logitech G430 Gaming Headset. By way of some background, I dove into raiding for the first time when Feylorne needed a white mage sub for his raid group. Luckily, I have a decent enough iLvl and I do have some experience doing extreme trials. I love raiding, I just don’t always have the time to commit to three nights a week. Fey’s group uses Discord for voice chat and honestly, the app works great. I can use it on my phone or on my computer. To the point, while I was playing and raiding, I was wearing my Logitech G430 headset that I bought a few months back. All I can say, the quality of sound mixing the game and voice chat was fantastic. So here is my review for all you final fantasy players out there. Voice chat is critical and it can add an additional social aspect to an already social game. Sometimes I log on to discord just to chat with friends while we play or quest. The current price is 54.99 on Amazon. 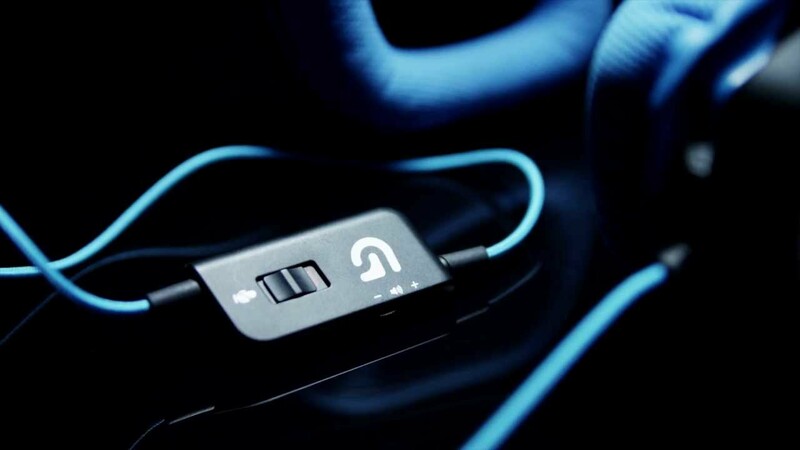 Logitech’s G430 gaming headset comes packed with a 2.3 meter cord, a microphone switch, a volume control, noise cancellation, voice isolation as well as a USB adapter for audio-in and -out. The length of the cord is more than enough to satisfy your needs, even if your PC should happen to be slightly further away from you. Rolling it up for the use with your laptop won’t be a problem either, as the cord itself is enclosed in fabric and will therefore not tangle easily. The only controls you get are a volume control wheel and a microphone mute switch on an inline panel. That’s less convenient than having the controls on the side of your head, but it also means that you won’t be crushed under the hardware’s weight. the Logitech G430 comes equipped with some fancy removable ear pads, clearly for the seriously sweaty gamer. The cloth around the ear cushions is porous and fights ear and head perspiration very well. The Logitech G430’s included mono microphone has built-in voice isolation that cancels out pretty much any unwanted audio. Notice that this headset is still bound by reality and the laws of physics, therefore a vacuum cleaner or a starting airplane in the same room, which can be very similar in effect, will still be picked up. A running TV or even loud conversation in somewhat close proximity shouldn’t pose any problems for your online conversations. I love this feature because while Fey and I were raiding, we did not receive any weird echo of our discussions coming over two microphones into the discord channel (we game side by side and the Logitech G430 mic only picked up the headset wearer’s voice). As someone who is really picky about headphones or pretty much anything that goes on my ears, I’m happy to say that I had no problem with the G430. As its size is adjustable, it fits on a variety of heads. Moreover, the cushioned over-ear cuffs put little to no pressure on your ear cups, making them comfortable even for longer usage. I should mention, there are two ways to use the Logitech G430. You can connect the mic jack and headphone jack into the corresponding stereo plugs on your PC or soundcard. Or you can use the included USB adapter. Insert this into a free USB port and then plug the 3.5mm stereo jack and mic jack into the adapter. Each of these ways will allow access to the Logitech Gaming Software. When using onboard sound and the Logitech Gaming software, I found, while the overall volume was lower than I wanted, the all-encompassing surround effect was great. The end result is a more complete soundstage in games. It definitely wraps the user in the playback sound that is surprisingly balanced across games, music and movies. Explosions have added punch and depth, positional audio is handled very well with more attention to detail in ambient sounds than there is to perfect pitch across low-high ranges. Plus this headset has great active noise cancelling performance. 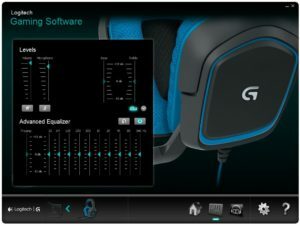 The Logitech G430 7.1 gaming headset does have a software which you need to download from the Logitech gaming website. Look for the download tab and download the Logitech Gaming Software (link is external). The software isn’t only for the G430 headset but also for the other Logitech gaming peripherals. Just follow the instructions on how to install the software and it will automatically detect all Logitech gaming peripherals connected in your computer. I enjoy using my Logitech G430. If you’re looking for an affordable gaming headset that delivers fantastic sound quality, this is certainly an excellent option. You can find the Logitech G430 at Amazon for $54.99.